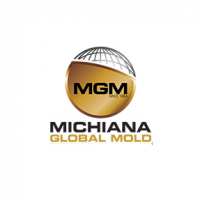 THESE STANDARD TERMS AND CONDITIONS (“CONDITIONS OF SALE”) CONTAIN THE TERMS AND CONDITIONS FOR ALL GOODS AND SERVICES FURNISHED BY Michiana Global Mold (THE “COMPANY”) TO YOU (THE “CUSTOMER”). ALL OF THE COMPANY’S QUOTATIONS, ORDER ACCEPTANCES, AND SALES ARE CONDITIONED ON THE CUSTOMER’S ASSENT TO THESE CONDITIONS OF SALE. THESE CONDITIONS OF SALE MAY NOT BE VARIED OR WAIVED EXCEPT BY EXPRESS WRITTEN AGREEMENT SIGNED BY AN OFFICER OF THE COMPANY. 1. Acceptance. Quotations shall become void if not accepted by the Customer within thirty (30) days from the date sent by the Company. The Company reserves the right to correct clerical and typographical errors, including price and quantity numbers, within fifteen (15) business days after the Customer’s acceptance of a quotation or the Company’s acceptance of an order. NO PURPORTED ACCEPTANCE OF THESE CONDITIONS OF SALE WHICH MODIFIES, SUPERCEDES, ADDS TO OR OTHERWISE ALTERS THESE CONDITIONS OF SALE SHALL BE BINDING UPON THE COMPANY UNLESS THEY ARE ACCEPTED IN WRITING BY AN AUTHORIZED REPRESENTATIVE OF THE COMPANY. ACCEPTANCE OF ANY QUOTATION IS EXPRESSLY LIMITED TO THE TERMS HEREOF AND ANY ADDITIONAL OR DIFFERENT TERMS ARE OBJECTED TO WITHOUT FURTHER NOTIFICATION BY THE COMPANY. Unless otherwise stated in writing by the Company, these Conditions of Sale are the Company’s offer to the Customer and do not constitute an acceptance by the Company of any offer to purchase or proposal by the Customer submitted to the Company prior to the date hereof. 2. Terms and Conditions. A quotation, upon being executed by both the Company and the Customer, as well as any written and signed modifications or supplements to the quotation and these Conditions of Sale, constitutes the entire contract between the parties hereto with respect to price, work, material and goods specified therein (the “Contract”) and supersedes any prior discussions, negotiations, agreements and understandings. Any representation, warranty, course of dealing or trade usage not contained or referenced in the Contract will not be binding on the Company. In the event of a conflict between these general terms and conditions and the more specific terms and conditions of the quotation and any written and signed modifications or supplements to the quotation, the more specific terms of the quotation and any modifications or supplements thereto shall control. Verbal instructions or agreements relative to warranties, or altering the quotation (and the resulting Contract) in any way, will not be recognized, and no changes shall be made except in writing, signed and dated by the party sought to be bound. 3. Payments. All payments shall be due and payable within thirty (30) days of the Customer’s receipt of the invoice from the Company, provided that the Company reserves the right to require prepayment or cash on delivery. All payments shall be made without set off or deduction. Unpaid balances shall bear interest from the due date at the rate of one and one-half percent (1½%) per month but in no event to exceed the maximum rate allowed by law. Customer shall reimburse Company for costs of collection, including reasonable attorney’s fees. 4. Taxes. Except otherwise expressly stated herein, the prices do not include federal, state, local sales, use, goods and services, excise or other similar taxes applicable to goods and services involved in this transaction. All such taxes shall be paid by Buyer, unless Buyer provides Seller with evidence satisfactory to Seller of exemption from such taxes. When Seller is required by law or regulation to collect such taxes, Seller will add such taxes to the sale price of the goods and services. 5. Shipment and Risk of Loss. The Customer shall take delivery of the goods Ex-Works the Company’s facility. All expenses and risks of loss or any damages incurred in the transportation of the goods shall be borne solely by the Customer. The Customer must make all claims for loss, damage, or delay against the carrier. The Customer shall accept partial delivery of any order, and any defect therein or failure to make any subsequent partial delivery shall be severable and not constitute a breach of the entire Contract. 6. Delays and Damages. The Company shall attempt to make deliveries in accordance with its quotation or production order, but if for any cause the Company fails to make such deliveries or to make them within the time stated, or cancels any order, the Company shall not be liable for any loss or damage resulting from any such failure or delay in delivery, or from any such cancellation or for loss of use or loss of profits, or for any other consequential, incidental or special damages on account of delay in delivery. 7. Rejection of Non-Conforming Goods. The Customer must notify the Company of any rejection of goods as non-conforming within ten (10) days after delivery at the place of destination and must promptly confirm the rejection in writing. Such notification shall identify each alleged non-conformity of the goods and describe that portion of the shipment being rejected. If the Customer fails to give such notice or uses the goods in any manner inconsistent with the rights of the Company, the goods shall be deemed to conform with the terms hereof in all respects and the Customer shall be bound to accept and pay for the goods in accordance with these terms. 8. Cancellation or Modification. Any order accepted by the Company may be canceled or modified by the Customer only upon the express written approval of the Company. The Customer shall reimburse the Company for all expenses incurred by the Company in connection with such order, including without limitation for engineering, drawings and materials. 9. Limited Warranty and Limitation of Remedy and Damages. For goods that are manufactured based in whole or part on the Customer’s specifications, the Company warrants that such goods conform to the specifications incorporated into the Contract and agreed to by the Company. The Company warrants all other goods to be free from defects in design, material or workmanship for a period which ends twelve (12) months from the date of shipment. Any claim under this warranty shall be deemed waived conclusively UNLESS the Company is notified within thirty (30) days of the discovery of the defect and given the opportunity to inspect such defect, and, if necessary, the goods are returned to the Company, transportation prepaid. The Company’s obligation under this warranty shall be LIMITED, at its sole option, to the modification, repair or replacement of the goods by the Company or to a refund of all or part of the purchase price of defective goods. If the Company elects to respond to a warranty claim by offering to repair the goods, the Customer shall, at its cost, ship the goods to the Company’s plant. The Customer shall pay shipping costs for repaired goods returned to it by the Company. IN NO EVENT SHALL THE COMPANY BE LIABLE FOR CONSEQUENTIAL, INCIDENTAL OR SPECIAL DAMAGES, LOSS OF PROFIT OR PRODUCTION, OR FOR TRANSPORTATION, INSTALLATION OR OTHER COSTS ASSOCIATED WITH THE GOODS. THIS WARRANTY IS EXPRESSLY MADE IN LIEU OF ANY AND ALL OTHER WARRANTIES, EXPRESS OR IMPLIED, INCLUDING THE IMPLIED WARRANTIES OF MERCHANTABILITY AND FITNESS FOR A PARTICULAR PURPOSE, WHICH ARE HEREBY DISCLAIMED. This warranty shall not apply to any goods that have been subject to abuse, accident, alteration or misuse, including the failure to specifically follow instructions related to the goods. 10. Limitation of Liability. Company’s liability on any claim of any kind, including negligence, strict or product liability, or breach of warranty or contract, for any loss or damage arising out of or connected with the Contract, or the performance or breach thereof, or the manufacture, sale or use of the goods furnished hereunder shall in no case exceed the price allocable to such goods which gives rise to the claim, and shall not include any liability for any consequential, incidental or special damages. 11. Indemnification. The Customer shall defend, indemnify and hold harmless the Company and its shareholders, directors, officers, employees, agents, successors and assigns from any and all claims, actions, proceedings, liabilities, damages or injuries, including attorneys’ fees, related to or arising or alleged to arise from (i) any asserted deficiencies or defects in the goods caused by any alteration thereof made by the Customer, (ii) any product or other good in which the goods are incorporated into or combined with by the Customer, or (iii) the improper handling, storage or installation of the goods by the Customer. 12. Reliance Upon Customer’s Information. In the preparation of the quotation and the goods, the Company has relied on information supplied by the Customer. In the event such information is inaccurate, the Company shall not be liable for any claim resulting from such inaccurate information, including negligence, strict or product liability, or breach of warranty or contract, with respect to the goods, the performance or breach of the Contract, or any defects of design, material or workmanship. 13. Price Adjustments. The price of the goods shall be as set forth in this quotation, but the Company reserves the right to adjust the price due to an increase in the Company’s costs due to (a) changes in the Company’s cost to purchase raw materials and labor included in the goods; (b) changes in the Company’s cost of energy used in the production of the goods; (c) changes to the specifications for the goods; or (d) any other appropriate factors. Raw materials include, without limitation, precious metals, plastics, and metal and plastic resin. 14. Security Interest. The Customer grants to the Company, a purchase money security interest in the goods subject to the Contract and all additions, replacements and substitutions therefore and the proceeds and products of the foregoing to secure payment of all indebtedness of the Customer to the Company, including the purchase price. The Customer authorizes the Company to file financing statements evidencing the security interest. 15. Buyers Financial Condition. This agreement and all shipments made hereunder shall at times be subject to the approval by Seller of Buyer’s financial condition. If the financial condition of Buyer at any time becomes unsatisfactory to Seller, in Seller’s sole discretion, or if Buyer fails to make any payment when due, in addition to any other rights Seller may have, Seller may defer or decline to make any shipment or shipments hereunder or may condition any such shipment upon receipt of satisfactory security or cash payments in advance. (a) Severability. If a provision of the Contract is held to be invalid or unenforceable, the Contract shall continue in full force and effect and shall be construed as if the invalid or unenforceable provision was omitted. (b) Waiver. The Company’s failure to exercise a right or remedy or the Company’s acceptance of a partial or delinquent payment shall not operate as a waiver of any of the Company’s rights or the Customer’s obligations under the Contract and shall not constitute a waiver of the Company’s right to declare an immediate or a subsequent default. (c) Remedies Cumulative. If the Customer breaches any provisions of the Contract, the Company may suspend its performance. If such breach is not remedied within thirty (30) days after receipt of written notice from the Company, the Company may terminate the Contract. The Company’s remedies provided in the Contract shall be cumulative. The assertion by the Company of any right or remedy shall not preclude the assertion by the Company of any other rights or the seeking of any other remedies. (d) Choice of Law and Forum. The Contract shall be governed by and construed in accordance with the laws of the State of Michigan, notwithstanding any state’s choice of law or rules to the contrary. The Customer consents and agrees that any judicial action permitted by the terms of the Contract shall be brought solely in a state or federal court sitting in Kalamazoo County, Michigan, and the Customer consents and submits to the jurisdiction of such court. (e) Force Majeure. The Company shall not be liable to the Customer for failure or delay in performing its obligations in whole or in part when performance is delayed or prevented by flood, draught, fire, or any other casualty or riot, insurrection, acts of God, restrictions or interference by any government or governmental agency, strike, labor action, act of terrorism or any similar cause beyond the control of the Company for the period during which such cause exists. (f) Assignment. Neither the Contract nor any rights or benefits thereunder are assignable by the Customer without the prior written consent of the Company. Any such prohibited assignment shall be null and void. 17. Intellectual Property. The Company maintains Intellectual Property on all product supplied to Customer. Customer agrees to not copy, sell, re-design, re-tool or re-source any product without the express written consent of the Company’s Authorized representative. Customer agrees to pay all damages associated with copying, selling, re-designing, re-tooling or re-sourcing Company’s product including all legal fees, lost income, etc.